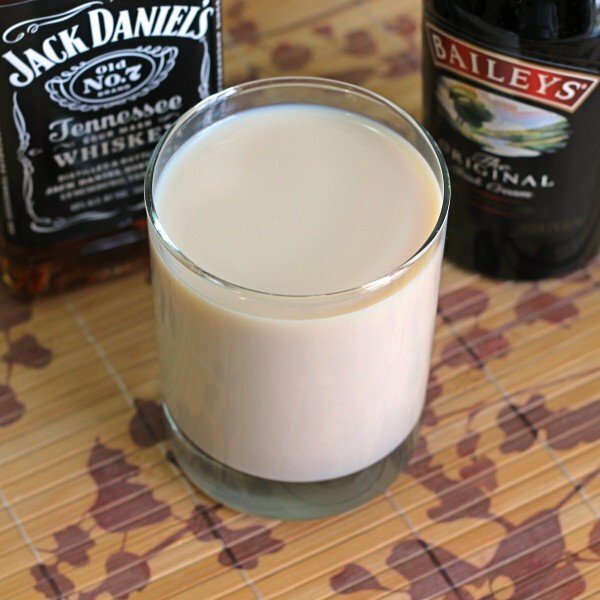 The Jack Knife drink recipe has just two ingredients: Jack Daniels whiskey and Baileys Irish Cream. It’s almost like having a whiskey with cream and sugar. This is a pretty powerful drink, containing no mixers – just straight alcohol. It’s not too sweet, and yet it’s far from straight whiskey. 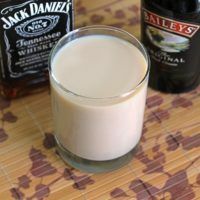 It’s reminiscent of a Warm Woolly Sheep, except that the flavor profile for the Drambuie in the Sheep is more honey while Baileys is more caramel. And this drink is not served warm. 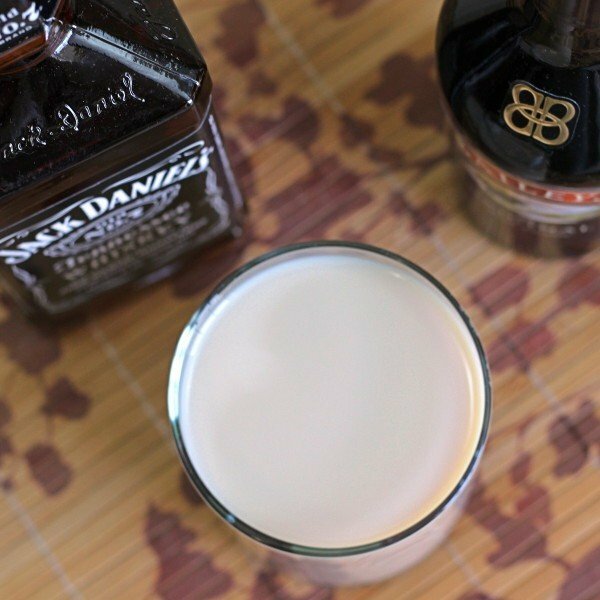 The Jack Knife is a great after dinner or nightcap drink. It’s a little bit heavy for midday, possibly causing you to take an unintended nap in the afternoon. It’s perfect for winding down. 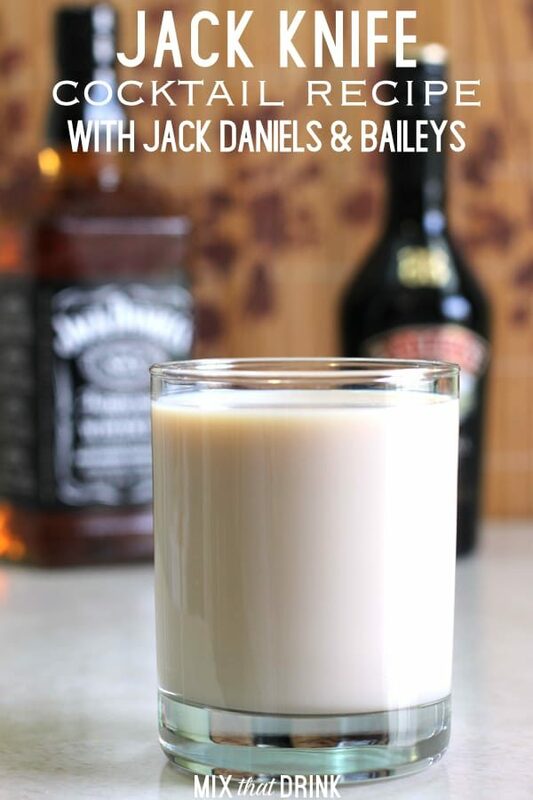 The Jack Knife cocktail recipe features Jack Daniels and Baileys. It's so easy to make, and absolutely delicious. It tastes kind of like a whiskey with cream and sugar. Fill a cocktail shaker with ice and pour the ingredients in. Shake until chilled, and strain into an old-fashioned glass.